All of the children in the Midnight Society have their trademarks. Kristen has a flair for the dramatic (and costumes). Betty Ann loves supernatural tales. Gary loves magic. And David? Well, David is a bit of a stick-in-the-mud. This week, he’s miserable because he’s had to move to a different school on the other side of town. This, to him, is pretty much the end of the world as he has to make new friends (and I somehow think this is something David doesn’t excel at). The new move is David’s inspiration for “The Tale of the Hatching.” Brother and sister Augie and Jazz are forced to go to a boarding school when their parents are off on business for six months. Black Brook School is a bit strange. When the family first arrive, a girl begins screaming when she wakes up from a nightmare. The family rush to the room, to see if the girl is okay. A couple enter and introduce themselves as Mr and Mrs Taylor, the people who run the school. The girl’s rushed away, just as a low tone sounds from the speaker from the room. Mr Taylor explains that the bell signals the beginning and ending of class, as well as lunch period. While in Mr Taylor’s office, Augie’s alarm on his wristwatch begins to sound. Mr Taylor grips his ears in pain until the sound stops. He explains the episode away by claiming a migraine. When Augie and Jazz are finally left alone, they begin setting in at school. While they learn to enjoy it, they can’t help but admit it’s strange. At dinner, all the other students are obsessed with something called “Spunge” (like sponge, but “with a u”). It’s grainy, white and grosses the brother and sister out. Mr Taylor also takes hand-held games away from kids. And Augie is warned away from listening to his walkman. The Taylors apparently believe these things get in the way of the learning process. Then one night, things at Black Brook get really strange. Jazz wakes up to the bell sounds coming from the speakers in her dorm room. She sees the other girls from her dormitory rise and leave the room, as if in some sort of trance. Jazz decides to follow the other girls, and bumps into Augie, who is playing along with the trance act. The two agree to go with the other students to discover what’s going on. They follow the students into the basement, where there’s some sort of room-sized water containment system. Some students go to stand behind control booths while the others head down ladders. Augie and Jazz realise that the water is filled with large eggs, and the other students are sprinkling a powder over them. Before the brother and sister can investigate any more, they’re interrupted by the arrival of Mr and Mrs Taylor. Augie and Jazz quickly pretend to be “feeding” the eggs, just like the other students. They overhear the Taylors saying they’re happy to see their new students adjusting, as they didn’t believe they had eaten any of their Spunge. Jazz and Augie decide to follow the Taylors to their office to spy on them. They overhear the Taylors saying that the incubation period is nearly complete, and their master is pleased. Then the children notice Mr Taylor’s arm – it’s green, scaly, and obviously not human. Jazz tears her brother away and she urges him to help her do something about it. But before they can enact their escape plan, Mrs Taylor catches both Jazz and Augie sneaking around. Mr Taylor approached them and says, “You can’t leave; the excitement has just begun.” Then the super-swell adults drag Augie and Jazz into the basement where they’re locked up. The Taylors explains that they are the last of their race, but soon the eggs will hatch and they will take over the world. But first, the children have to meet the “mother” of the meat-eating species. The giant lizard-like Mother begins to approach Augie and Jazz, ready to eat them before a busy week of tending to her new babies. But before she can get too close, Augie begins setting up his trap: a mechanism using the wall-speaker and his Walkman. After commanding his sister to hit play, the high-frequency rock music begins to blare from the speakers. The noise causes the Mother to explode, and the children discover, the Taylors. Augie explains that he noticed that the high-frequency noise was a problem for the Taylors, and thought it could be used against them. The perks of being a nerd? When the children are finally able to escape, they discover that the students have woken from their trances and that all the eggs had been destroyed. 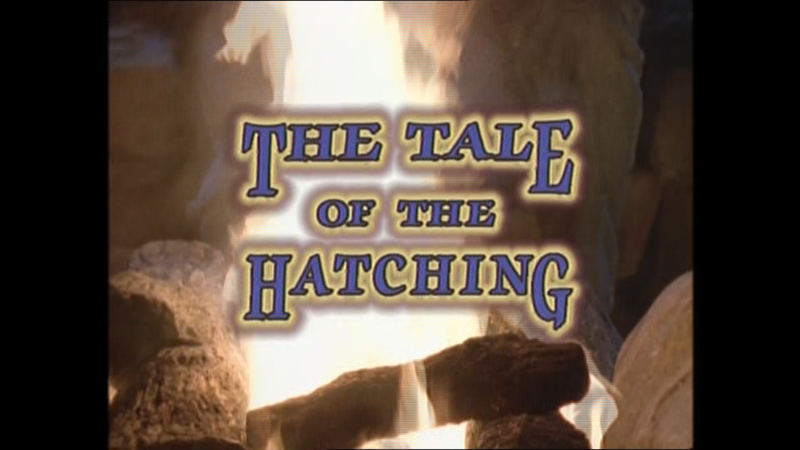 “The Tale of the Hatching” is a fun story. It’s not overly-complex, and it has a fun pair of kids at the front. The episode values both of the kids’ strengths: brains and bravery. And who doesn’t love an evil-school tale? Sure it’s strange that there seems to be no other adults around at this school, but that’s television, right? But the real mystery for me here is what exactly a boarding school is. Are kids seriously just dropped off when they’re parents can’t watch them for a while? I find this very strange. What sort of business are their parents in that they BOTH have to leave for six months? Perhaps Augie and Jazz have something to worry about. Perhaps THEIR parents have green skin.